Our mission is to support our customers obtain the best and most appealing tube packaging products can be stand out. Founded in 2003, UDN believes that Unique Design makes life New. Based on the strong mission, UDN delivers a variety of state-of–art, high quality and environmentally friendly tube packaging solutions to world class customers. Our company is dedicated to developing innovative tube packaging and provide bespoke designs for our customers to bring the concept into reality. UDN specialize in tube packaging solutions for color cosmetics, daily necessities, FMCG, food, medication, skin care, etc. Leveraging over 75 patents, UDN has developed over 215 types of head style and 350 types of caps. We provide adequate portfolio to let our customers enjoy a unique and multi-optional experience. 2003 UDN Packaging Corporation is founded in Shenzhen. 2011 UDN increased its investment and expanded the production facilities. 2012 UDN was recognized as a qualified supplier by L’Oreal Paris. 2015 UDN was recognized as a qualified supplier by Estee Lauder. 2016 UDN’s PCR ONE-PIECE TUBE was Nominee for 2016 LUXE PACK in green Award. 2016 UDN’s SELF HEATING TUBE & SELF COOLING TUBE were nominated as one of the best innovative primary packaging design of INNOVATION CIRCLE AWARDS 2016, Cosmoprof Asia. 2017 UDN was awarded the certificate of High-Tech Enterprise by the Government of China. 2017 UDN added investment and established a new factory in Chang'an, Dongguan. UDN’s core values are innovation, commitment, service, sustainability. 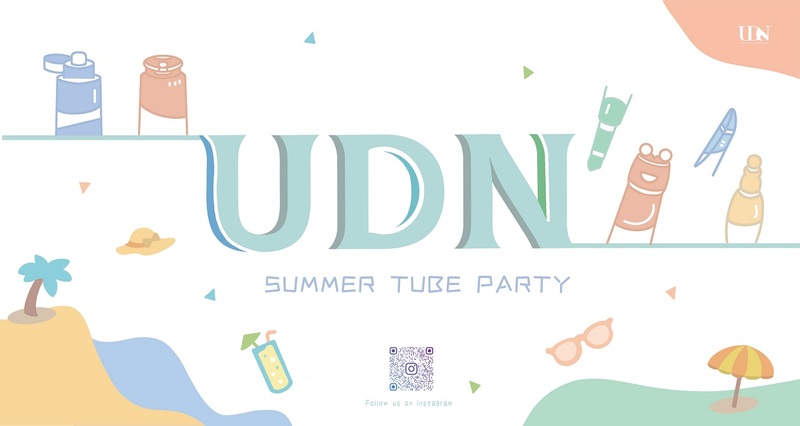 UDN owns the most patents, which are 73, among the private owned tube manufacturers in China. We have developed 215 types of head style and 350 types of cap through these patents. Innovation is our DNA and is our driving force for our future so UDN continuously develops 2 or more new products every year. UDN delivers what we promise through our products.All of our products will take at least 5 inspections during the production and do the electrostatic dust precipitation before delivery to make sure the quality. Our staff follow the strict rule from the outfit to every disinfection procedure which includes air shower tunnel, hand disinfection and so on to guarantee the cleanness of the production area.We practice our promise from day-to day operations and aim to provide an outstanding quality of service to meet all of our customers’ satisfaction. Packaging is the silent language, the first-hand information that consumers will get from the products or even the brands. UDN aims to be the bridge between brands and consumers so the brands can show their personality to their target audience through appearance and decoration of packaging. Our products can add values to the brand by offering good quality and innovative product design or bring their concept to reality. And at the same time, communicate the beauty to the world. UDNexecutes PDCA (Plan–Do–Check–Act) as our guideline for continual improvement of processes and products. Based on the philosophy of lean thinking, we reduce 15% material consumption, decrease 40% production procedure and reduce 30% carbon foot print through the product design and production process. With the intention to increase the efficiency, UDN upholds the principle of environmental protection.